Written by Ray Martin on January 30th, 2019 April 3rd, 2019 . 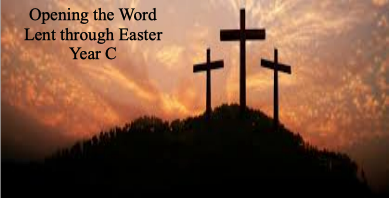 We will be utilizing, Opening the Word, Lent through Easter, Year C. This is a FORMED LENTEN STUDY. This program offers prayer and insights for the Sunday Readings. Featuring a variety of experienced presenters including Dr. Tim Gray, Jules Miles, Dr. Scott and Annie Powell, Dr. Edward Sri, and Dr. Ben Akers, the videos are designed to facilitate thought and discussion for personal faith formation or in the context of a group meeting. Groups will meet in the mornings or evenings either at Ascension or at the home of an Ascension Parishioner. Childcare Information: free childcare is available for children 1 year and older. Please use the childcare form button below to notify us of your needs. Sign up by February 19, 2019. Groups start week of February 24, 2019 or February March 3, 2019. There is no cost for materials. You just need to be a member of FORMED. 2. Click “Register” and enter your name, email, and password. 4. You are all ready to access FORMED! Once logged into FORMED, go to Study, then click on Opening the Word, Lent through Easter, Year C.
You will need to go to each week and download and print the participant journal. You can also download the FORMED App. To register for the Woman of Ascension Lenten Book Study Fearless and Free click here.